According to a new study, the relationship between pet dogs and their owners is strikingly similar to the child-parent bond in humans. Scientists investigated the bond between dogs and their owners and found that the relationship turns out to be highly similar to the deep connection between young kids and their parents. Domestic dogs have been closely associated with humans for about 15,000 years. 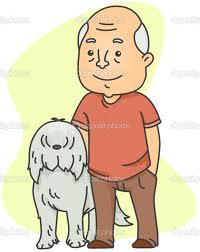 The animals are so well adapted to living with human beings that in many cases the owner replaces conspecifics and assumes the role of the dog's main social partner. The relationship between pet owners and dogs is highly similar to the deep connection between young children and their parents.